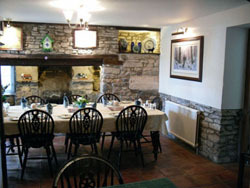 Brinsea Green Farm: Bed and Breakfast / Self Catering accomadation, Somerset, Congresbury. Well-appointed rooms are your sanctuary while breakfast is served in a charming period dining room. Guests are offered the use of the bright and comfortable lounge with TV, inglenook fireplace and roaring log fire (in the appropriate season of course). Our animals are never far away and we’d admit to some agricultural smells, but located at the end of a quiet road, we have ample safe parking and offer real peace and quiet. 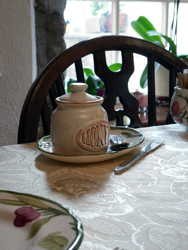 Breakfast comprises local bacon and sausages, bread from the village bakery, honey grown right here on the farm, homemade marmalade and local produce whenever possible. If you need to leave before breakfast, we are happy make special arrangements to see you aren't hungry. Copyright © 2019, Chandos Media . All Rights Reserved.